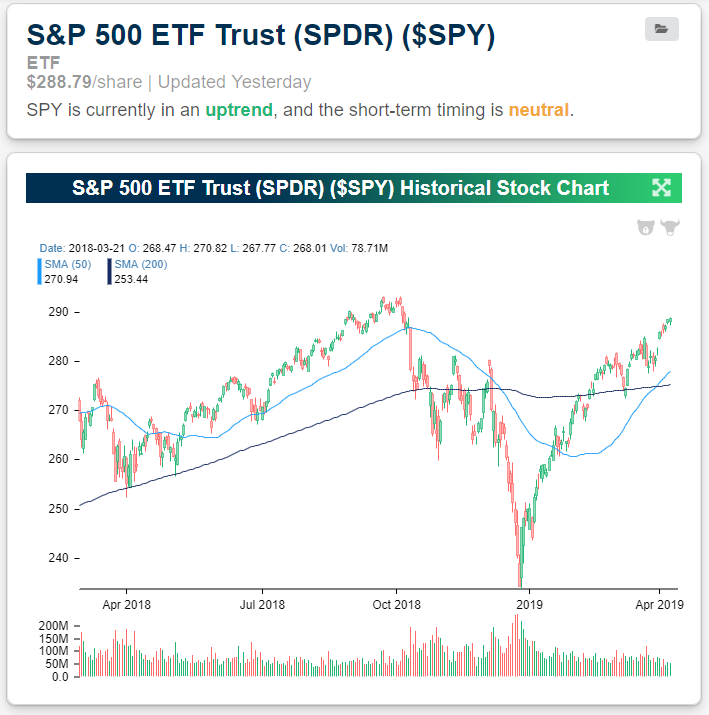 Note that SPY is still a little more than 1% away from its prior all-time high reached last September. Start a two-week free trial to Bespoke Institutional to access our popular Security Analysis tool and much more. 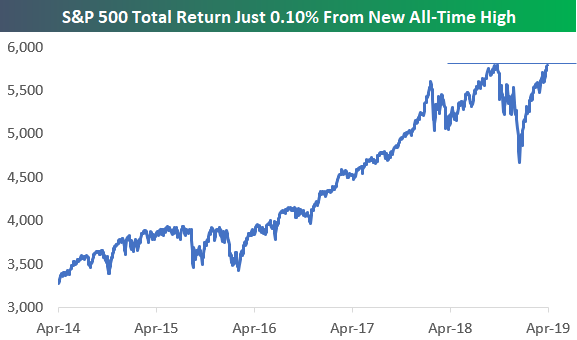 While SPY is still more than 1% away from new highs, the S&P 500 Total Return index, which includes dividends, is now just 0.10% away from eclipsing its prior high. At this point, US equities have effectively re-gained their Q4 2018 losses. Now investors just need to give stocks one last push to get the major indices above this last resistance level.